Miller’s Dialing In. 2015 National Champion. Owned and handled by Gary Lester. Photo by Jamie Evans. The 116th running of the granddaddy of all field trial — the National Championship – started last month on Monday, February 9, 2015, at the Ames Plantation in Grand Junction, TN. Forty eight dogs were nominated to run this year — seven setters and forty one pointers, and when the trial was over, one rose to the top: Miller’s Dialing In. 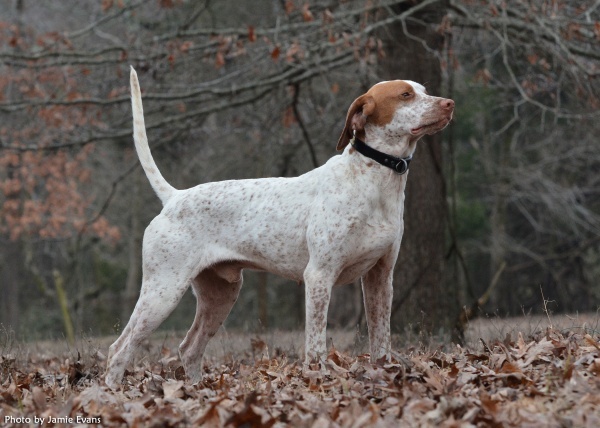 The National Championship for Bird Dogs was first run in 1869, and it has been held at the Ames Plantation since 1915. See videos from the 2015 National Championship here. See pics and videos of the 2015 National Champion Miller’s Dialing In here. In this video you can see a beautiful double point with Touch’s Adams County and handler, Randy Anderson (R) and Raelyn’s Skyy backing as handler Andy Daugherty looks on. Watch those quail fly. In this video, you can see Audubon Americus on his first find with handler, Rich Robertson. I think you can hear another handler “singing” to his dog in the background. This one shows Caladen’s Rail Hawk on his second find with handler, Dr. Fred Corder. Again, watch those birds bust out of there. In this last one, you can see 2015 National Champion Dialing In on his second find in the Horseshoe. A big, healthy covey flushes above Dialing In and Gary. Dialing In on his second find in the Horseshoe. A big, healthy covey flushes above Dialing In and Gary. 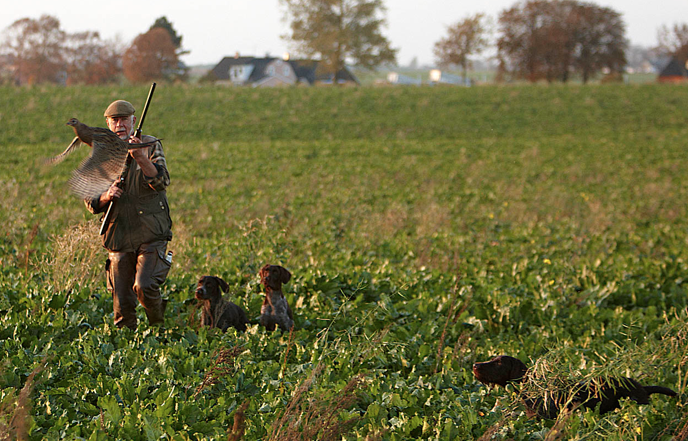 Amazing bird dog work from Sweden…. I didn’t know English Pointers spoke Swedish. But this orange-and-white female does (hahaha). Check out these videos to see how much control this guy has over his dogs. 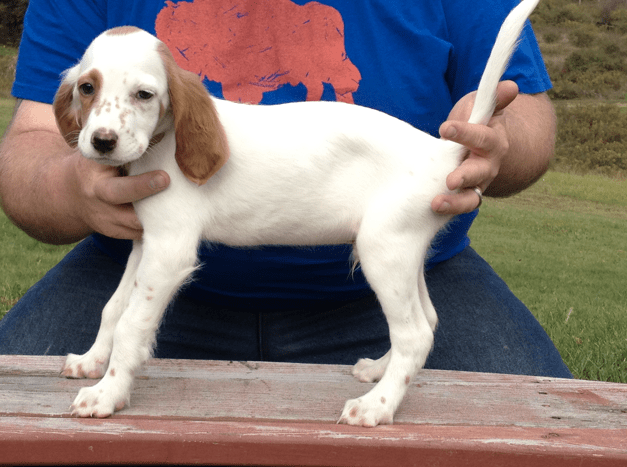 He’s running up to four at once: Britta the Pointer plus a trio of Drahthaars. The relationship between them and the trainer is amazing to see. Find out more about the trainer and his dogs here. 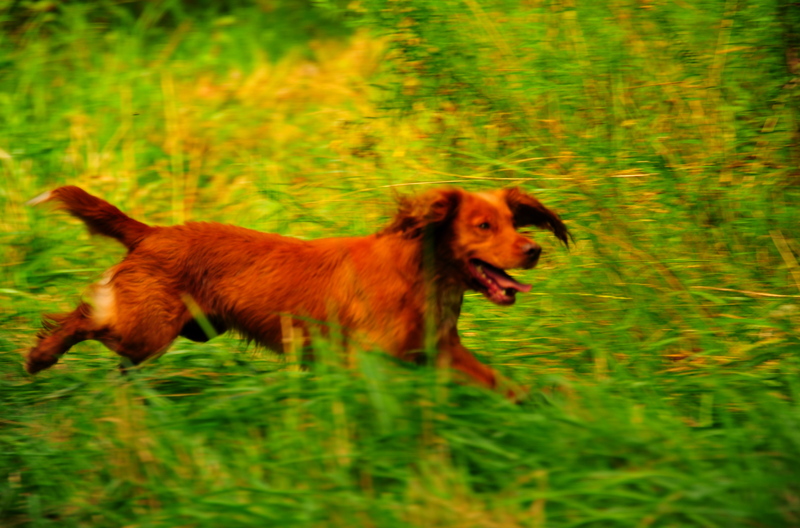 HUNTING DOGSBird Dog, bird dogs, dogs, hunting, Pointer, sweden, Upland1 Comment on Amazing bird dog work from Sweden…. Bill Ballin used to be the resident trainer at Grouse Ridge Kennels in Oxford, NY. So when it comes to good grouse & woodcock dogs, he knows what he’s talking about. Today, Bill trains and handles dogs at his own operation – High Grass Hill Kennels – and he has these pups available from RU CH. Grouse Ridge Bruiser X Lexi. They were born 7-28-2013 and they’re ready to go now. To find out more about the litter, call Bill 607-316-1917 or 607-373-3376. You can also reach him nfd177@gmail.com. As Puck and I get ready to go out the door, I’m reminded that she’s been one of the most constant and dependable parts of my life for over a decade. She’s eleven, and this will be out tenth season together. My life has changed a lot since then – jobs, friends, and family have come and gone, I lost 55 pounds, lived in 4 different apartments, met my wife, married, and much more. But Puck has always been my dog– thrilled to see me when I arrive home, ecstatic to chase birds, and happy to sit in my lap when the day’s done. I want to thank Spencer at Feather and Fin | All things upland and upstream for bringing this video to my attention. As its name implies, it’s about the bond we develop with our dogs, a bond that has supported me and enriched my life in many ways. I hope you enjoy the video. And be sure to check out Feather and Fin | All things upland and upstream . It’s great to see other folks enjoying the finest parts of life. Bond from Modern Legacy Productions, MLP on Vimeo. Todd Agnew is a well known dog trainer who works with top-notch Springer Spaniels and Cocker Spaniels. At his Craney Hill Kennel, he has worked with hundreds of gundogs and trained a number of them to world-class levels. 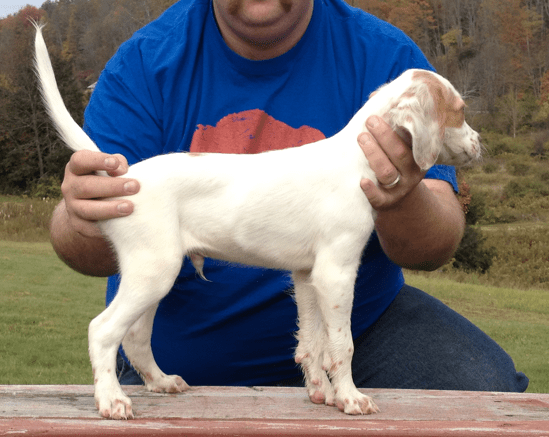 Well trained dogs are one of those things that make upland hunting special. Once you’ve spent some time in the field with them, you won’t want to go back to hunting without a four-legged friend. Check out the nice dog work in this quick video. 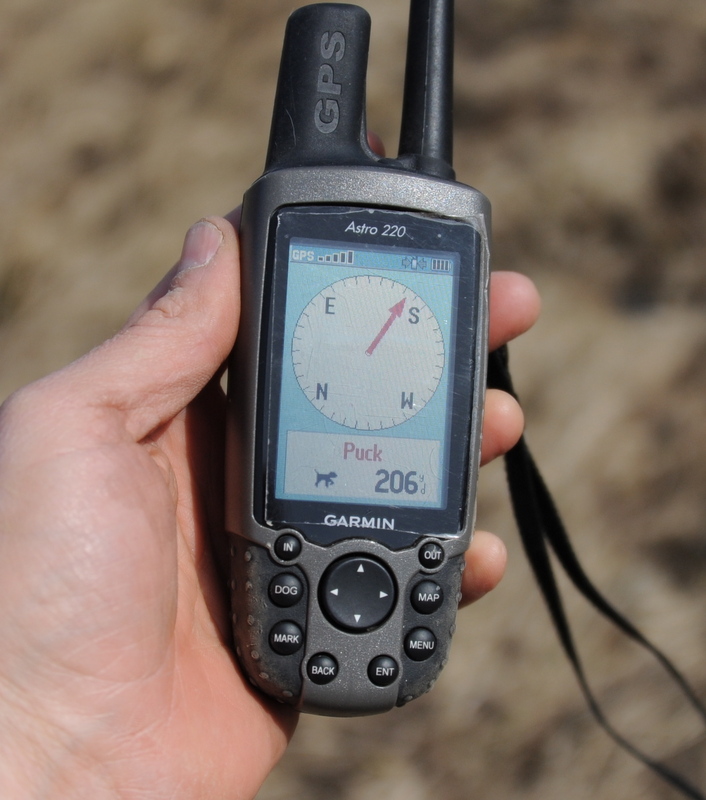 Beyond range: How far out does your dog run? Range is something I used to worry about. Back when I was looking for my first bird dog, a consistent forty to fifty yards out sounded right to me. Any dog that ran beyond sounded like a run away. 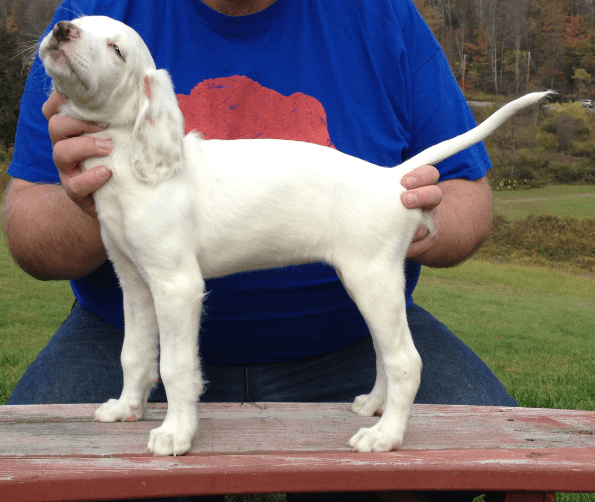 Today, Puck has taught me a lot about what to expect from an intelligent, well bred pointer. 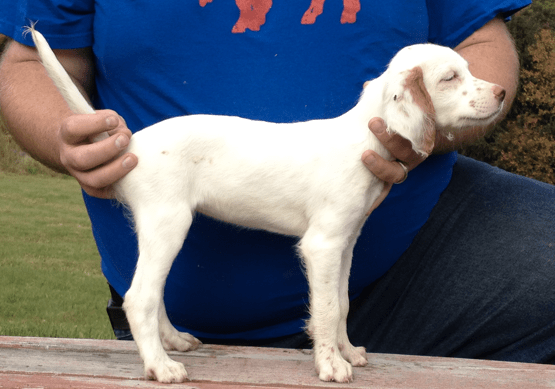 Breeder/trainer Craig Doherty sums up a lot of what I’ve learned in this recent post on his blog and I suggest reading it. Read the entire post now. Meat dog vs. Field Trial Dog. It’s a debate you hear all the time. 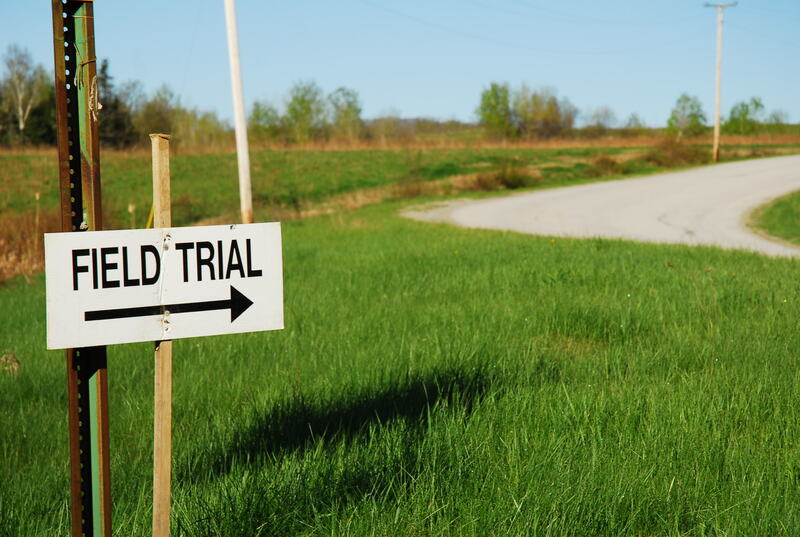 Of course, the first step to an informed opinion on the subject is to see an actual field trial. So if you live in the eastern Massachusetts area, here’s the listing for the Setter Club of New England’s trial this weekend. It’s being held at the FA Crane Management Area, Falmouth, MA. 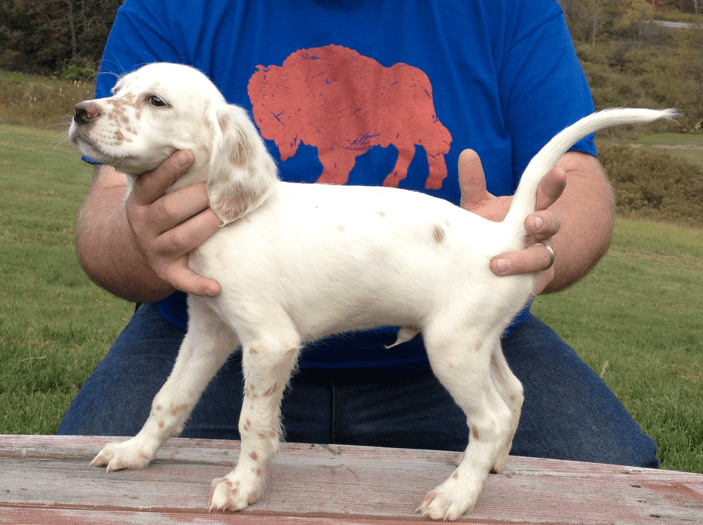 This trial is open to setter, pointers, and to any other breed of pointing dog. It’s being run on liberated quail and native woodcock. 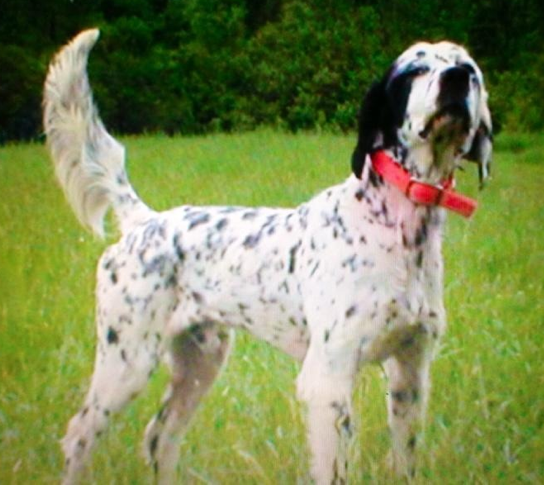 FYI: Dog entered in Saturday’s Classic and Sunday’s Amateur Shooting Dog stake needs to rock steady to wing and shot. AMATEUR SHOOTING DOG (30 min). Starts at completion of Classic, but not before Sunday at 7 a.m. GROUNDS: FA Crane Management Area, Falmouth, MA. From Bourne Bridge, take Route 28 South to Route 151 East and follow signs. Lunch served daily. Use of tracking collars and scouting on horseback is permitted. However, handlers must provide collar and make own scouting arrangements. 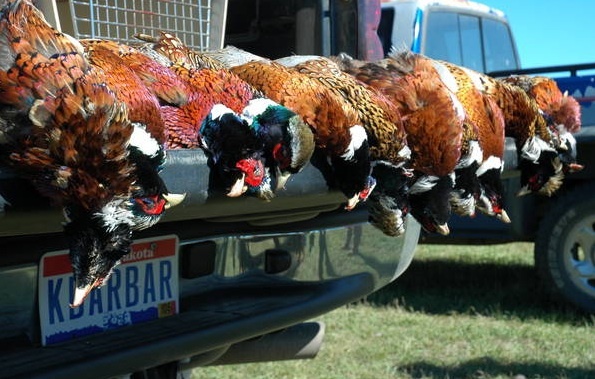 Well, I’m back from the 2011 pheasant opener in South Dakota. I had a great time and we saw shot plenty of birds. It took my crew 2 hours to limit out on both Saturday and Sunday. With almost a dozen shooters both days, that’s a lot of birds. I’m back up in Maine now, waiting out the rain, and hoping to get out soon for grouse and woodcock. I hope to add a turkey to the mix, too. ENJOYING BOTH2011, dogs, doubles, hunting, opening day, Pheasant, shooting, shotgun, South Dakota2 Comments on Now that’s some pheasants…. Woodcock season is a long way away. But that doesn’t mean I can’t start thinking about them. They should be back up my way in just 6 weeks. I’m looking forward to welcoming them home. Until then, here are a few nice videos to enjoy. Here’s to Timberdoodles.